Viburnum x juddii or the Judd Viburnum is a compact, rounded, non-evergreen shrub with oval, dark green leaves, sometimes turning red in autumn, clusters of beautifully scented, pink-tinted white flowers are produced during spring opening from dark pink buds. 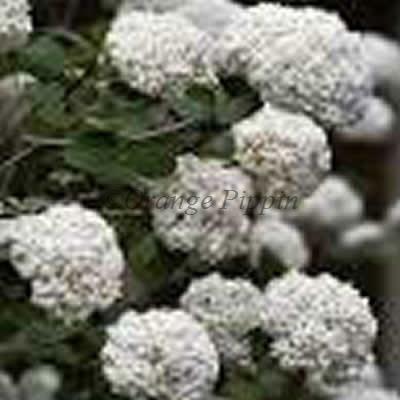 Viburnum x juddii was raised at the Arnold Arboretum in the U.S.A. This spring flowering shrub is perfect for where border space is restricted, is easy to grow and can be planted in mixed beds, borders, as hedging and would look delightful grown in a cottage style garden.